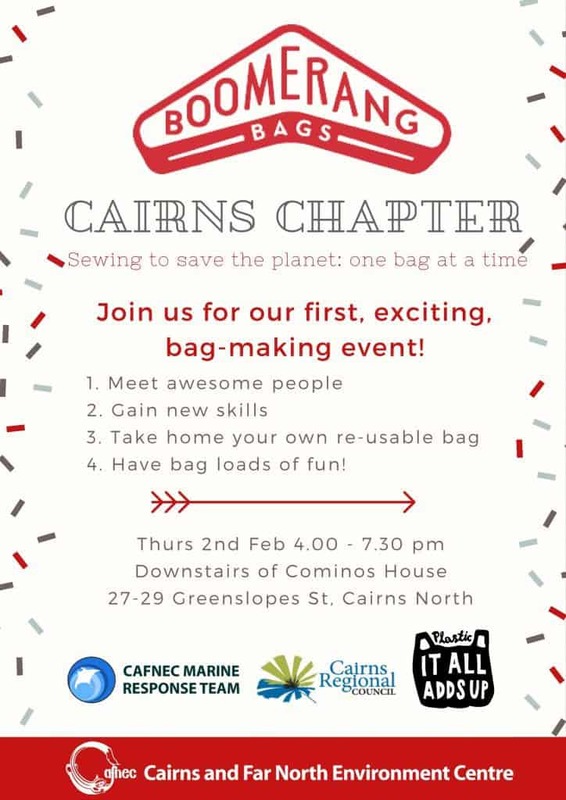 Boomerang Bags Cairns – Get Involved! What: The Marine Response team are excited to announce we’re starting Boomerang Bags community. Boomerang Bag groups have started up all over Australia where community members come together to sew fabric bags out of recycled material. Boomerang Bags is a community driven initiative tackling plastic pollution at the grassroots level. Dedicated schools, community groups, businesses and volunteers get together to make re-useable ‘Boomerang Bags’ using recycled materials as a means to replace plastic bags. These bags are made available at supermarkets for the public to ‘borrow and bring back’. Through Boomerang Bags we start conversations, make friends, up-cycle materials and work towards shifting society’s throw away mentality to a more sustainable revolution of re-use – one community, needle and thread at a time! As the Qld government are set to ban single use plastic bags in 2018 we’re really excited to set up Boomerang Bags in Cairns in 2017. Having this service available once the plastic bag ban commences will hopefully ease the transition in FNQ. How you can be involved: We’ll be meeting the first Thursday of every month to sew bags together and get the project going. 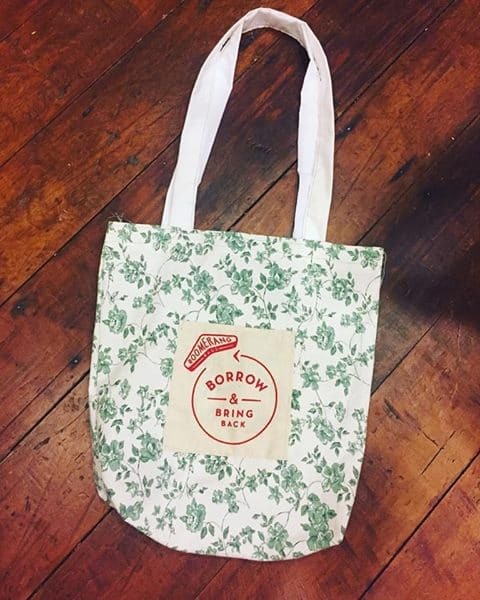 If you can’t sew don’t worry, there are plenty of other things to do: we will need to collect donated material from op shops, cut the material, print it with the Boomerang logo and much more!